Overall I really like the fender. It has really kept my bum dry going to work this spring. One thing to note though is that you have to keep tightening the 2 nuts holding the fender in place or it will shift and drop down on your tire... And I mean really tighten these plastic nuts (every 4 rides or so). We will see if it holds up or not. Can angle be adjusted enough for this to work with dropper seatposts? 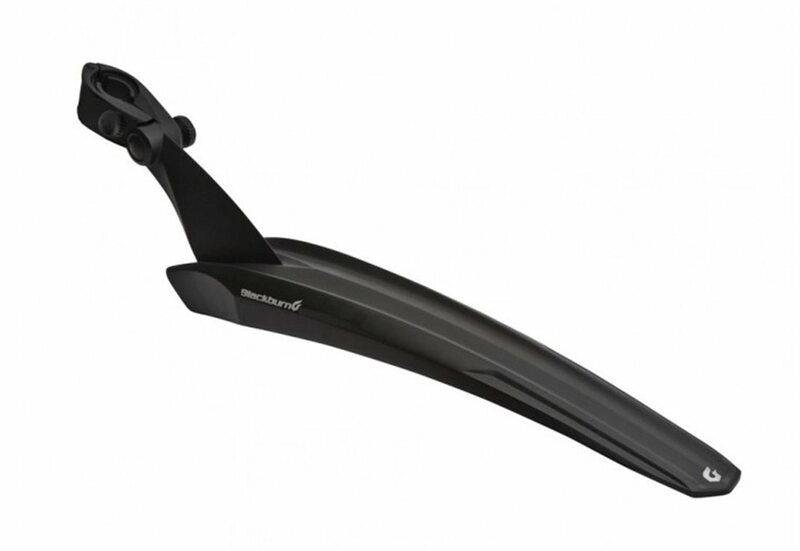 BEST ANSWER: Since this mounts to the seatpost itself, we don't recommend these for use with droppers. Your best bet is a saddle-mounted fender like the ones I have attached. Planet Bike Grunge Board Clip-On Fender is a downtube mounted fender that comes with pre-installed hardware. Hardware pre-installed Grunge Board is made from durable, all-weather polymer material, designed for quick installation Width: 100 mm Fender Tire Fit: 26"